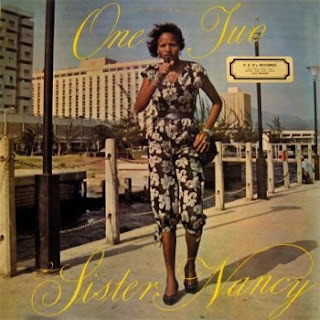 Sister Nancy’s track Bam Bam was released in 1982 on Techniques Records. Much like the Amen break or just about any James Brown track, it was been sampled by many artists over the years. Bam Bam’s instrumental was also borrowed from Winston Riley’s 1973 track Stalag Riddim. It’s a beautiful reggae classic in it’s own right and also lends itself superbly to the variations listed below. The original Stalag Riddim is an instrumental. Winston Riley produced Bam Bam with Sister Nancy, also released on Techniques. My favourite incarnation of the track is Guerilla Black’s 2004 single titled Compton feat Beenie Man. Sounds very Biggie like in the best way and looks very similar. I just found this via Hype Machine on the Peach Stealing Monkeys website. It’s a refreshing pop take on Bam Bam compared to most hip hop oriented reworks. Sampled by the hip hop master Pete Rock. The Big Beat RemixUnknown artist. From 2007. The new genre craze of the underground dance scene has a go at Bam Bam and works in a thicker then quicksand bassline to satisfy the bass heads. The Rcola remixQuality d&b remix released in 2007. Nice and dubbed out.